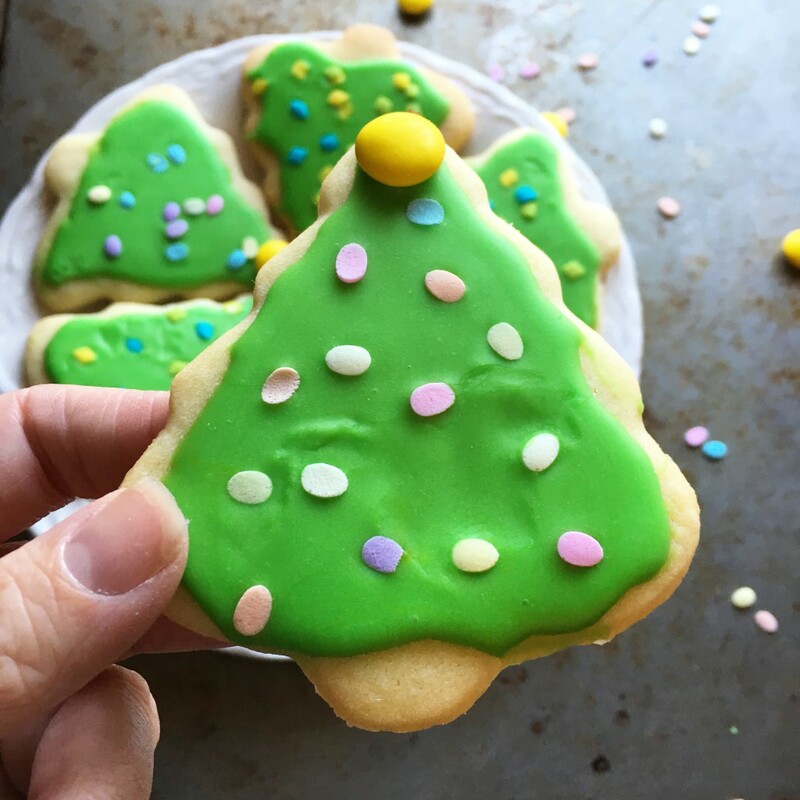 If you are trying to make a lot of perfect looking sugar cookies without little helpers I recommend the method in this guide by The Kitchn. 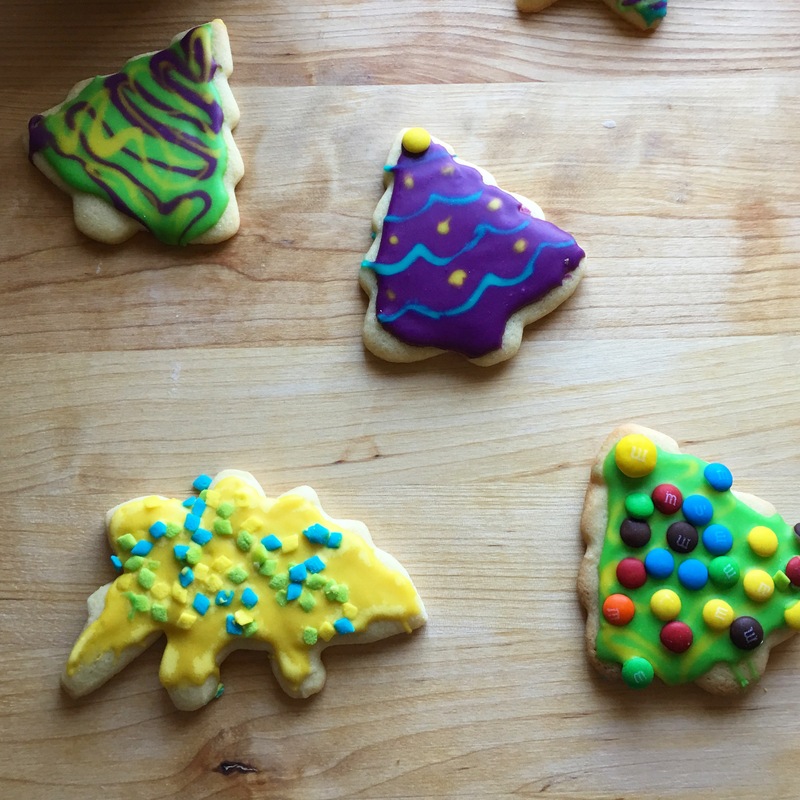 It is a very easy way to get glossy bakery style sugar cookies. 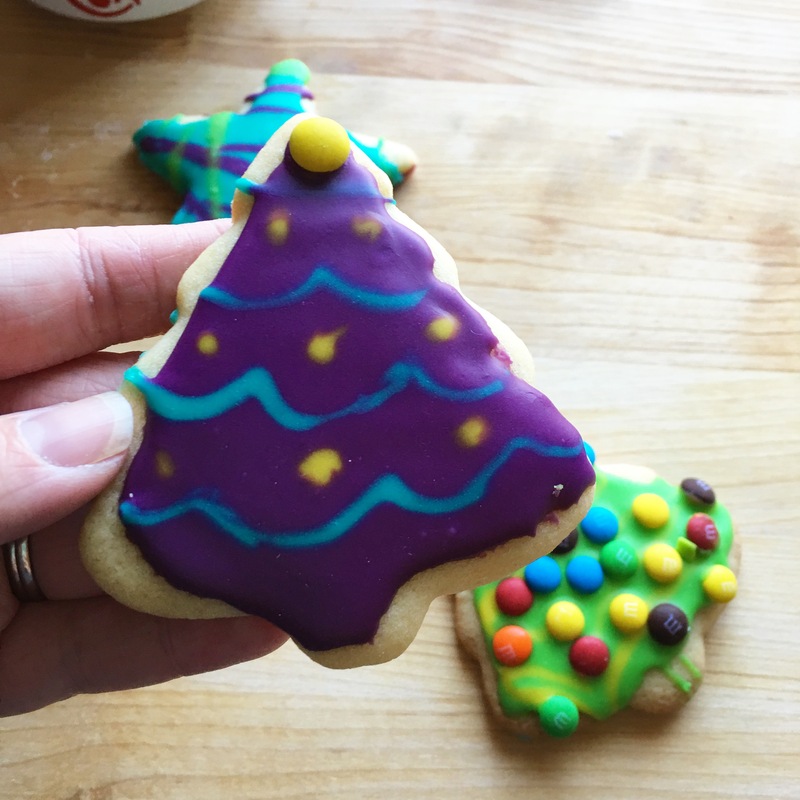 If you, like me, decorate sugar cookies as a family activity I have a couple of tips to keep it stress free, especially with younger kids. Accept the fact that it will messy and prepare. Pull out a cheap plastic table-cloth, cups, and lots of plastic knives so that at the end you can just toss everything. Pick no more than four colors that compliment each other. 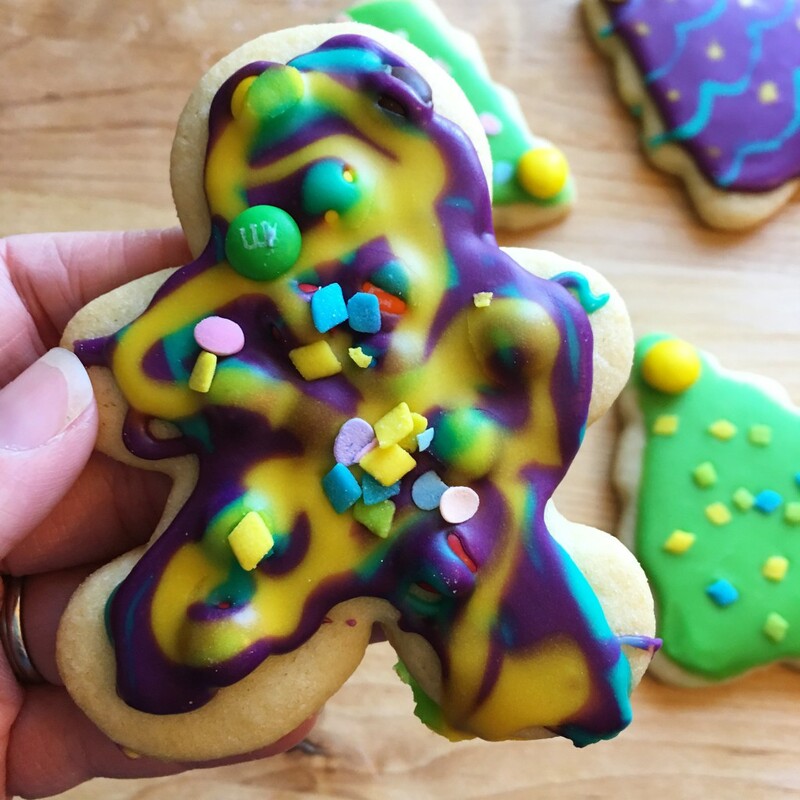 I like to use the neon food coloring pack for sugar cookie decorating with the kids and typically will do Green, Turquoise, Yellow and White or Pink. Every single color will end up on the kids cookies but if the colors compliment each other it just works. 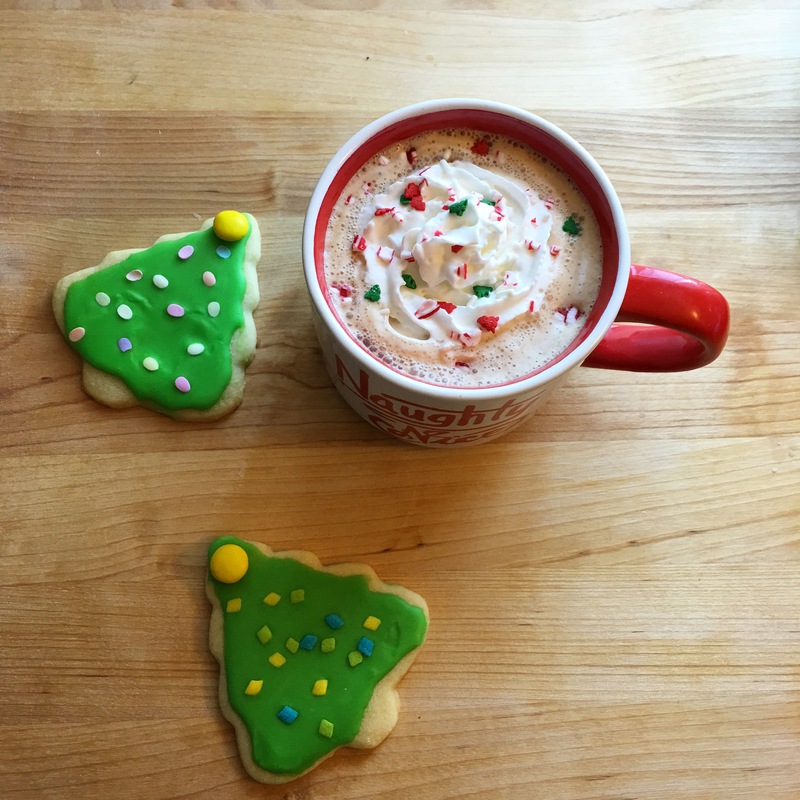 Sprinkles are your friend, they make even the most disastrous cookies look better. For toddlers I put a limited number of cookies and decorating supplies on paper plates. They know they can play with/eat what is on their plate which prevents fights and keeps them content while we work on the rest of the cookies. You can put icing in squeeze bottles but I have found that they kids struggle to get it out and get frustrated but with older kids it would probably work really well. Don’t be afraid to thicken the icing if you or your helpers are having trouble working with it! In small bowl combine milk, vanilla, and corn syrup. Set aside. In a large bowl stir milk mixture into the powdered sugar a little at a time until icing is desired texture. Add more powdered sugar and milk a little at a time as needed throughout the decorating process. In a medium bowl sift the powdered sugar, set aside. In a small bowl sift together flour, baking soda, and salt. Set aside. In the warmed bowl of a stand mixer or a large mixing bowl cream softened butter and powdered sugar until light and fluffy. Add vanilla, almond extract and eggs. Mix until just combined. With mixer (or beaters) set to low slowly add in the flour mixture. Mix until just combined. Don’t over work the dough. Cover and refrigerate for at least 2 hours and up to three days. Divide dough into quarters. On a lightly floured surface roll each quarter out to 1/4″ thickness one at a time, keeping the remaining ones in the refrigerator. Cut into desired shapes using 2-2 1/2″ cutters. Place on cookie sheet about 1″ apart. Bake for 6-8 minutes or until lightly golden around the edges. Allow to finish setting on the pan and then remove to wire racks to cool completely before decorating. Store in an air tight container in the refrigerator for up to a week or the freeze for up to three months. 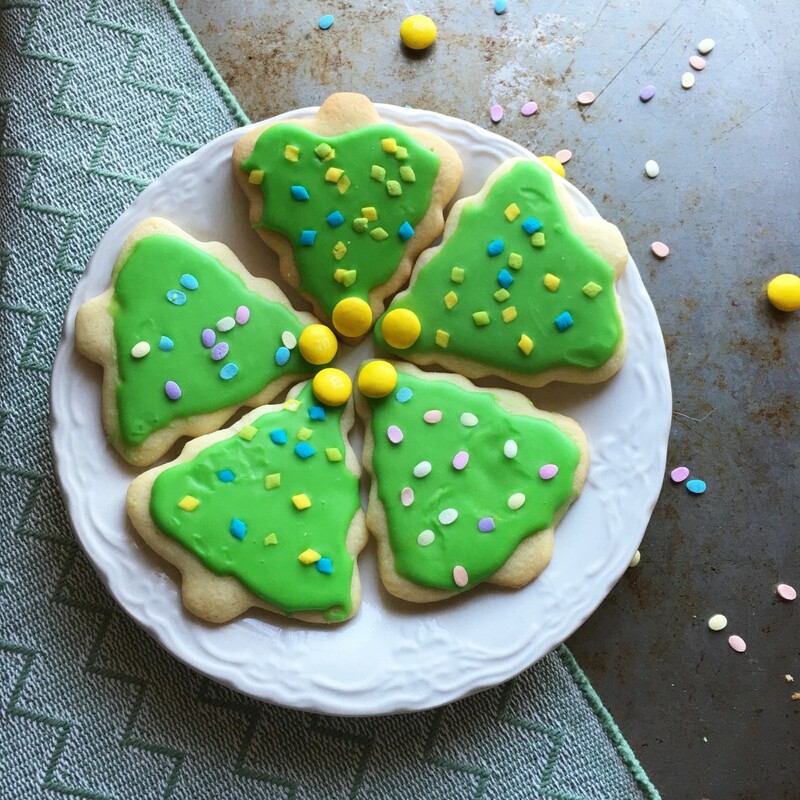 *There are a lot of versions of Mary’s Sugar Cookies originally by Betty Crocker, appears minor changes have been made based on the publication date, this is the version we used.